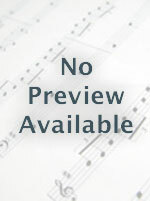 Instantly downloadable sheet music by William G. Fischer for guitar of MEDIUM skill level. Wondrous Love (Based upon "What Wondrous Love Is This!"). Arranged by Larry Shackley. Choir Sacred. 3-Part Mixed Choir (SAB). 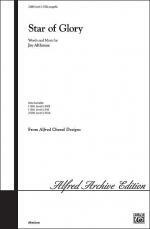 Choral (Sacred); Choral Octavo; Worship Resources. Holy Week; Lent; Sacred; Spring. Grade 2. Choral Octavo. 8 pages. Published by Alfred Music Publishing (AP.21538). 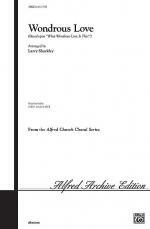 Your choir will LOVE Larry Shackley's transportive arrangement of What Wondrous Love Is This! The reverent keyboard opening inspires awe as the people of God ponder the imponderable sacrifice of our Lord and Savior. Transparent vocals convey the text with dramatic simplicity, and the rich harmonic palette provides nourishment for the soul! Absolutely wonderful throughout the year, especially for Lent and Holy Week-a distinguished choice for concerts, too! Instantly downloadable sheet music by Charles A. Tindley for guitar of MEDIUM skill level. Instantly downloadable sheet music by William S. Hays for guitar of MEDIUM skill level. Instantly downloadable sheet music by Frederick M. Lehman for guitar of MEDIUM skill level. Instantly downloadable sheet music by James M. Black for guitar of MEDIUM skill level. Instantly downloadable sheet music by Septimus Winner for guitar of MEDIUM skill level. Instantly downloadable sheet music by Emily D. Wilson for guitar of MEDIUM skill level. Instantly downloadable sheet music by Charles C. Converse for guitar of MEDIUM skill level. Instantly downloadable sheet music by J.K. Alwood for guitar of MEDIUM skill level. Instantly downloadable sheet music by Lewis E. Jones for guitar of MEDIUM skill level. Instantly downloadable sheet music by William B. Bradbury for guitar of MEDIUM skill level. Instantly downloadable sheet music by Joseph P. Webster for guitar of MEDIUM skill level. Instantly downloadable sheet music by R. Kelso Carter for guitar of MEDIUM skill level. Instantly downloadable sheet music by Rev. George Bennard for guitar of MEDIUM skill level. Instantly downloadable sheet music by Isaiah G. Martin for guitar of MEDIUM skill level. Instantly downloadable sheet music by Helen H. Lemmel for guitar of MEDIUM skill level.